A report published by the Centers for Disease Control (CDC) may change some of your beliefs about binge drinking and alcoholism. The National Institute on Alcohol Abuse and Alcoholism defines binge drinking as a pattern of drinking that brings a person’s blood alcohol concentration (BAC) to 0.08 grams percent or above. This typically happens when men consume 5 or more drinks, and when women consume 4 or more drinks, in about 2 hours. Another important definition for this discussion is what is alcohol abuse? It is defined as using alcohol in such a way as to harm you. Are binge drinkers alcoholics? Not necessarily; the CDC says no. While many alcoholics have and still do indulge in bingeing, not all binge drinkers are alcoholics. Most of the people that binge drink are not actually alcoholics or alcohol dependent. Approximately 92% of the United States adults that drink excessively have reported binge drinking at least once in a 30 day period. 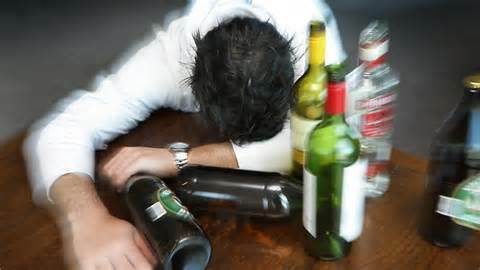 70 % of the people who binge drink in the United States are over the age of 26. Men tend to binge drink more often than women do. Binge drinkers are more likely to engage in reckless activities such as alcohol impaired driving as compared to non-binge drinkers. Approximately 90 % of all underage drinking comes in the form of binge drinking. Binge drinking is associated with a number of different health problems. Some of these health problems include poor control of diabetes, sexual dysfunction, neurological damage, liver disease, stroke, high blood pressure, cardiovascular disease, children born with fetal alcohol syndrome, unintended pregnancy, sexually transmitted diseases, alcohol poisoning, domestic violence, sexual assault, firearm injuries and other intentional injuries, car accidents, burns, drowning, falls and other unintentional injuries. Alcoholism is classified as a disease, though it is defined as the physical dependence on alcohol and its reckless use without considering the consequences. Alcoholism sneaks up on the user. What begins as social drinking for alcoholics, eventually transforms into drinking for other reasons. The gallbladder works as a time-release mechanism in the digestive tract, storing bile from the liver needed for digestion; then it releases small amounts into the intestine when needed for breaking down fats. The gallbladder is also one of those organs we can live without, thankfully, since it can be afflicted with many maladies. There are several diagnostic tests that can help pinpoint if the gallbladder is the problem. An ultrasound. This is the most commonly used of the diagnostic tests for gallbladder problems. X-rays. An abdominal X-ray can spot gas and some types of gallstones containing calcium. Computed tomography (CT) scan. CT scans can help spot ruptures and infections inside the gallbladder or its bile ducts. Magnetic resonance imaging (MRI). Regular MRI, or another type called magnetic resonance cholangiography (MRC), can help diagnose stones in the bile ducts. Endoscopic retrograde cholangiopancreatography (ERCP). An endoscope is inserted into the throat, down through the stomach, and into the small intestine. This test can help spot gallstones or problems in the bile ducts and allows for removal during the test. Cholescintigraphy (also called DISIDA, HIDA scan, or gallbladder radionuclide scan). A small amount of radioactive dye is administered, and then a scanning device is used to track the dye as it moves into the gallbladder. If you have been diagnosed with gallbladder disease or are experiencing symptoms you believe are related to it, contact Dr. Johnson for a consultation. He specializes in gallbladder surgery and diagnostic ERCP and will know which tests are right for your particular case. The liver is a vital organ located under the ribcage on the right side. It is the second largest organ in the body, right after your skin. The liver generally weighs about 3 pounds. Its main job is to filter the blood coming from the digestive tract, before passing it to the rest of the body. The liver also detoxifies chemicals and metabolizes drugs. As it does so, the liver secretes bile that ends up back in the intestines. It also makes proteins important for blood clotting and other functions. One cannot live without a liver. It turns out that while the liver is very important and fairly easy to damage, it is also quite a resilient organ, and keeping it healthy isn’t that hard. Like most organs (skin included! ), eating a healthy diet and exercising regularly are key to good liver health. Since your liver is a star player in your digestive system, everything you ingest eventually travels through it. It filters chemicals like drugs and alcohol from the blood; regulates your hormones and blood sugar levels; stores energy from the nutrients you take in; and makes blood proteins, bile, and several enzymes that the body needs. Don’t drink a lot of alcohol. Alcohol can damage liver cells, leading to the swelling or scarring that becomes cirrhosis, which can be deadly. Eat a healthy diet and get regular exercise. 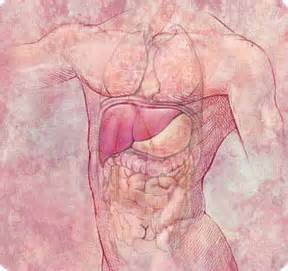 A condition called nonalcoholic fatty liver disease (NAFLD) also can lead to cirrhosis. It comes from being overweight, having diabetes, or having high levels of fat in your blood. Stay away from medicines (or combinations of medicines) that harm the liver. Cholesterol drugs and the painkiller acetaminophen (Tylenol) can be toxic to the liver if too much is taken over time or at once. Don’t touch or breathe in toxins. Cleaning products, aerosol products, insecticides, chemicals, and additives in cigarettes contain toxins that can damage liver cells. Nearly one million new cases of gallstones are diagnosed each year in the United States according to the American Gastroenterological Association. To understand this condition that affects 10 to 15% of Americans, it is important to understand how the gallbladder works, what it does for us, and what puts one at a greater risk for gallstones. The gallbladder is a sac about the size and shape of a pear that sits beneath the liver and stores bile which is a key digestive fluid. The gallbladder contracts after meals, releasing bile into the digestive tract as needed. 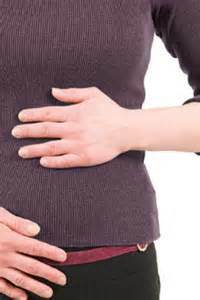 After digestion, the gallbladder relaxes and begins its job of storing bile from the liver again. 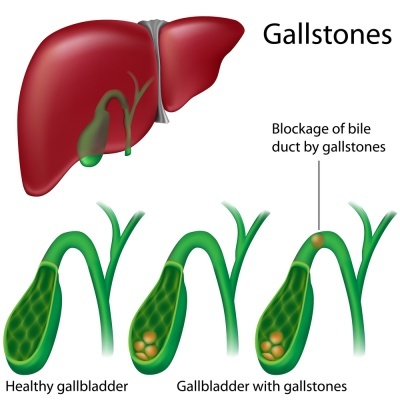 Often, gallstones cause no symptoms at all and are diagnosed during screening for some other health problem. Generally, if the stones aren’t causing symptoms, no treatment is required. However, many people experience symptoms such as severe abdominal and/or back pain that can last from 15 minutes to several hours. Other symptoms can include fever, vomiting, and sweats. Attacks may happen frequently or can happen even years apart. The most common treatment for symptomatic gallstones is surgery called cholecystectomy. Dr. Johnson specializes in minimally invasive gallbladder surgery using state-of-the-art robotic techniques. If you are experiencing gallstone symptoms or have been diagnosed and are considering surgery, call today for a consultation.